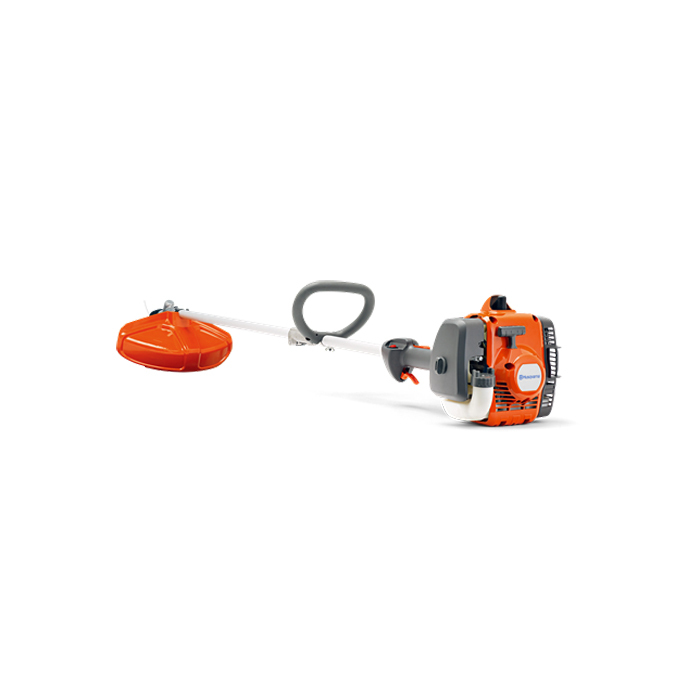 Trimmer 129LK is a multi-purpose tool that features a powerful 27cc engine of professional quality – with a focus on ease of use. It is easy to start thanks to Smart Start®, intuitive controls and the automatic stop return switch – a feature that automatically resets to the ON position for trouble-free starting. Apart from trimmer head, 129LK can easily be equipped with a number of other pro-quality tools: blower, pole saw, cultivator, hedge trimmer and edger, by changing the lower part of the shaft. Smart Start® - The engine and starter have been designed so the machine starts quickly with minimum effort. Resistance in the starter cord is reduced by up to 40%. Tap 'n Go trimmer head - Twin line cutting system with Tap 'n Go for quick line feed. Detachable shaft - Detachable shaft for easy transport and storage & Click on attachments for easy tool change. Multi purpose - Multi-purpose machine with several attachments available as accessories.